Couch gaming isn’t limited to just the couch, however. While the maximum number of players participating is capped to four, this can be any combination of local or online players. Frankly, the only thing missing from this equation is something similar to what Baldur’s Gate: Dark Alliance implemented many years ago, where you’re able to continue your personal progress through the game and keep all the loot you got by playing with your friend in their game. 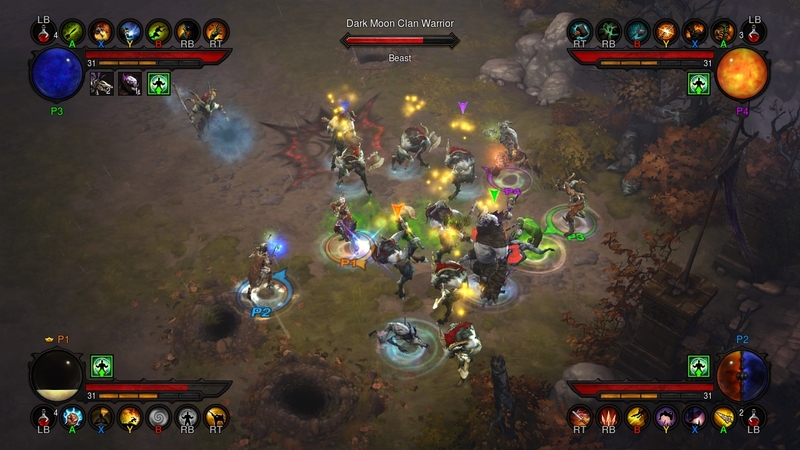 One of the things that separates Diablo III from the PC version, other than couch gaming, is the ability of the main character to dodge out of attacks. Because of this, the game had to be rebalanced to accommodate said gameplay functionality. 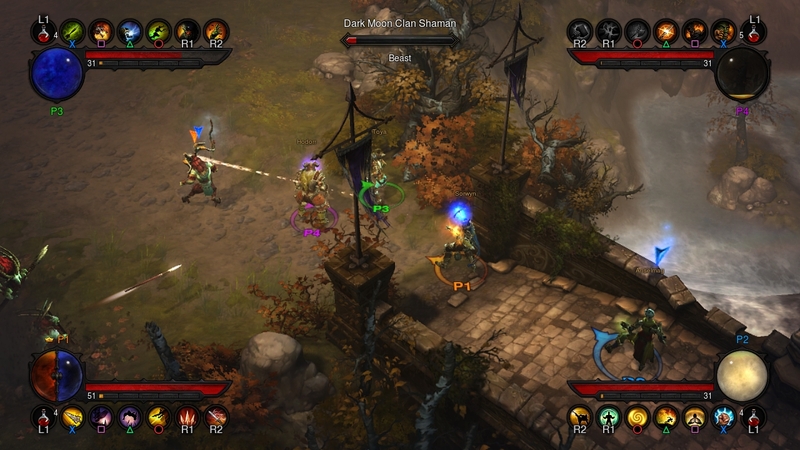 In order to provide players with the flexibility to be able to explore the vast dungeons they’ll be traversing, the camera perspective dynamically changes depending on the location of each player. 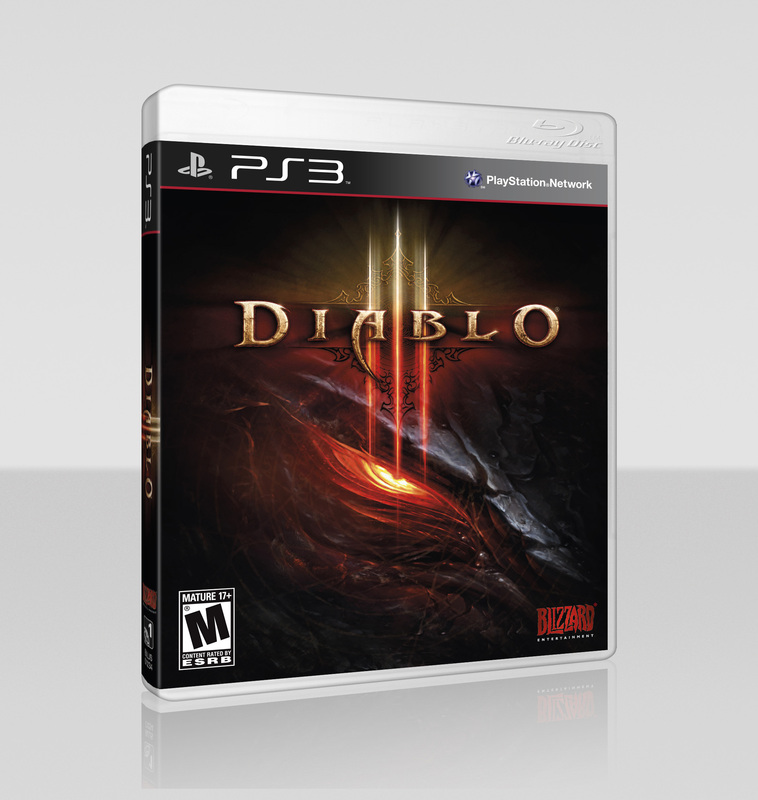 In addition to this, the user interface has been completely streamlined to allow for all players to see the action unimpeded, and an intuitive control scheme complements the brand new additions and modifications that Diablo III has received. 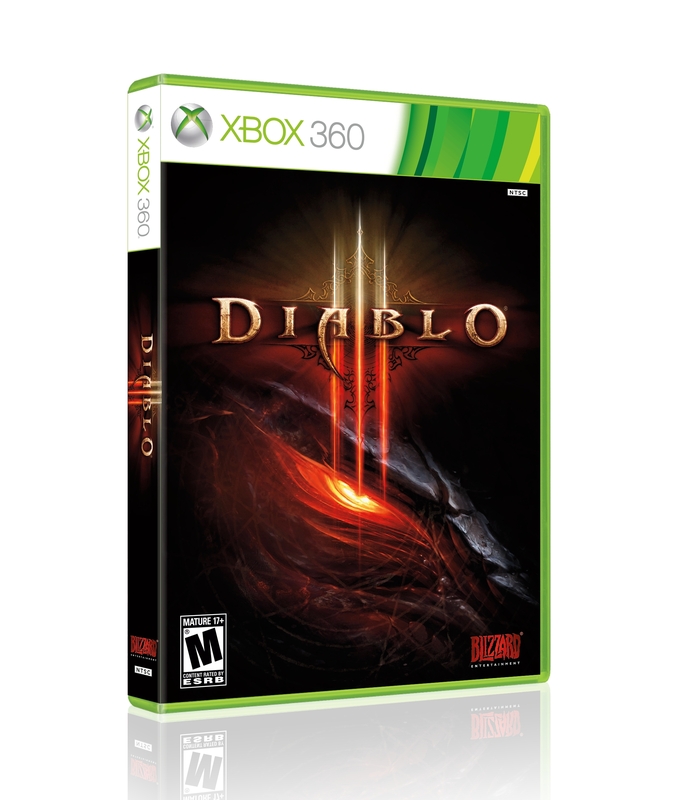 As with most games, there are bonuses that you can nab by pre-ordering the game. All players who pre-order, regardless of where you pre-order it, will receive the Infernal Helm, an item that grants an experience point boost to any character who wears it. Retailer specific pre-order bonuses will also be available. Because Blizzard thinks that we enjoy pack shots just as much as we do screenshots, they’ve provided us with pack shots for both platforms and a screenshot for each of the games. Let’s see if you can tell which one’s which. While I’m extremely hesitant in picking up the PlayStation 3 version of the game, the allure of being able to play with everyone here at Gamer Horizon at the same place on the same screen seems very appealing. In fact, I proposed to the group that we do some sort of live stream to try and beat the game from beginning to end from 8am to 12am when the game comes out. What do you guys think about this idea? Sound off in the comments!